Looking for your next dream job? Many job candidates take the ‘Spray and Pray’ approach of sending a standard, non-customized resume out to as many potential employers as they can find. They may even blast their resumes to every job posting in their target location, with sheer disregard for whether the opportunity is even remotely a match to their skills, expertise, and desired position. When it’s presented this way – in the extreme – it probably sounds ridiculous to most everyone. But spraying and praying even in lesser extremes isn’t a good idea. When you spray and pray, you actually diminish your ultimate value as a candidate. The senior living industry is a small one. Really, every industry is in the grand scheme of things. People get together at conventions. They talk about people who sent their resumes, five times, and came through three different recruiters because they thought one of them may have a special “in” that the others did not. What happens is you create your own crutch and cut yourself off at the knees. So if spraying and praying is a bad idea, what should you do instead? Get to know one or two recruiters who have been recommended to you. 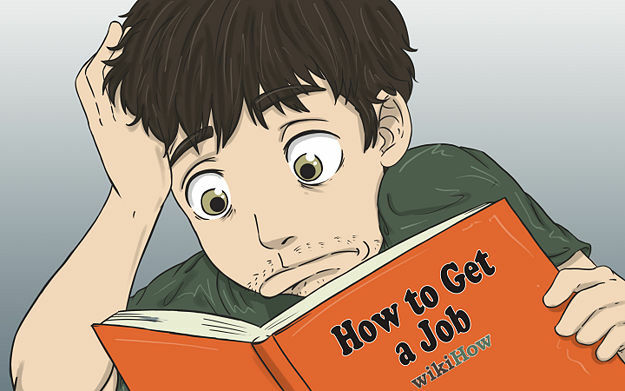 Chat about your potential upcoming job search. Or, if you’ve just resigned or been terminated, connect with someone who knows the senior living industry and can provide coaching to take you to the next step in your job search. It’s critically important, particularly for top-level executives and prominent positions within senior living communities, such as Executive Director and Director of Nursing, to avoid the spray-and-pray approach to the job search. These professionals should think critically about what they want to do with their careers moving forward, even when in the throes of the “I need a job NOW” crisis. When you take the time – which, by the way, won’t take more than 20 minutes or so – to discuss your situation and issues with an assisted living recruiter, such as one of the specialized, experienced assisted living recruiters at Bradley Harris & Associates, you’ll have a much better, executable path on which to move forward. Even if a recruiter does not have a current opportunity matching your skills, background, and requirements, they will certainly point you in the right direction. These essential conversations with recruiters enable leading professionals to be able to tell their own stories in a compelling manner. And, as we’ve discussed in a previous article, being upfront and telling your story truthfully means you’ll never get caught in a lie that could cause you to lose the job of your dreams. The spray-and-pray approach will infect your entire job search and diminish your value for every job you apply to. The spray-and-pray approach gives the perception that you have a lack of direction, a lack of goals – it’s even a turnoff to recruiters when they see a candidate has applied to 10 different jobs. It tells them that you’ll fall apart under crisis, when someone dies on your watch or in other stressful situations. Why Not Become a Passive Candidate Before Your Job Search is Urgent? Additionally, it’s always a good idea to get your resume on file with recruiters specializing in your industry, even for passive candidates. This enables recruiters to contact you proactively the moment they have a position that’s an excellent fit for you. In fact, wanting to avoid the crisis of spray and pray is just one of several compelling reasons why you should have your resume on file with a specialty senior living recruiter. If you’ve been thinking of resigning, had enough of your direct reports, or your company is undergoing changes that are making you question your job security, be proactive about your job search. File your resume with a senior living recruiter as a passive candidate, and the perfect opportunity could fall right into your lap, making your transition seamless and stress-free. That’s the way to approach a job search, not spraying and praying. Are your employees checked out? Interview Tips | I’m sorry, what did you say?